LCD display is faulty, see last pic. Can select effects by numbers only. Yamaha EMP-700 True Stereo Digital Multi effects Processor with 90 pre-programmed effects, and 99 user definable effects. 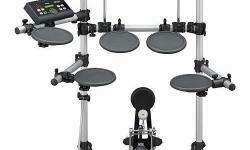 - Mono or stereo operation, memory card slot for additional configuration storage. - Features all the standard effects such as delay, echo, reverb, pitch bend, flanger, phasing and hall effects. - Unit is in fair condition. 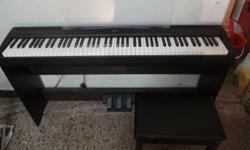 Yamaha Digital Piano Singapore Sale! 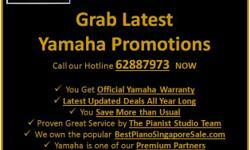 Authorized Dealer | Yamaha Digital Piano Singapore Sale!